Looking for a New Nissan Armada in your area? CarGurus has 1,128 nationwide Nissan Armada dealers with 9,482 new car listings. The current Nissan Armada arrived during 2017. 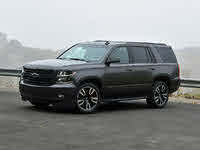 The Armada is a traditional, full-size body-on-frame SUV, in the same class category as the Chevrolet Tahoe, Ford Expedition, GMC Yukon, and Toyota Sequoia. For 2019, Nissan added to the list of standard equipment. Nissan equips the Armada with a giant 5.6-liter V8 engine capable of 390 horsepower and 394 pound-feet of torque, along with a heavy-duty 7-speed automatic transmission. Rear-wheel drive (RWD) comes standard, but there’s an available four-wheel-drive (4WD) system with high-range, low-range, and automatic modes. When properly equipped, both the RWD and 4WD models let you tow as many as 8,500 lbs. However, the Armada employs little of the fuel-saving technology its competitors do, so fuel economy is near the bottom of the class, at 14 mpg city, 19 highway, and 16 combined for RWD. For 4WD, expect returns of 13, 18, 15. The Armada’s lineup remains unchanged from last year, so you’ll find the same SV, SL, Platinum, and Platinum Reserve trims. The SV trim comes with 18-inch aluminum wheels, keyless access, heated 8-way front seats, a 13-speaker Bose audio system with a subwoofer, satellite radio, and an 8-inch infotainment system with navigation and real-time traffic updates. Jump up to the SL trim, and you’ll get leather seats, a power-folding third row, and keyless start. The Platinum grade includes a power sunroof, heated and cooled front seats, and a rear entertainment system with a DVD player. Finally, the Platinum Reserve gets a uniquely luxurious look inside and out, with dark chrome on the front grille, door handles, mirror caps, and 20-inch wheels. Inside, there’s two-tone leather and ornate stitching. In a nod toward safety, all of the driving aids that were optional on the Armada are now standard. These include adaptive cruise control, automatic emergency braking, and forward-collision warning. Other standard features include a reversing camera and a rear-door alert system, which works to prevent you from accidentally leaving a child or other precious cargo inside by flashing a warning on the instrument panel if you opened a rear door between ignition cycles. If that doesn’t get your attention, the system sounds the horn as you walk away. From there, the available 360-camera system, standard on the SV trim and higher, bundles lane-keeping assist, lane-departure warning, and blind-spot monitoring with intervention. There is no public crash-test data on the Armada, but that’s typical of SUVs in this size class. It’s clear that Nissan put a lot of thought into the Armada with its design, features, and technology. And with additional safety equipment for 2019, it’s even a better proposition than before. 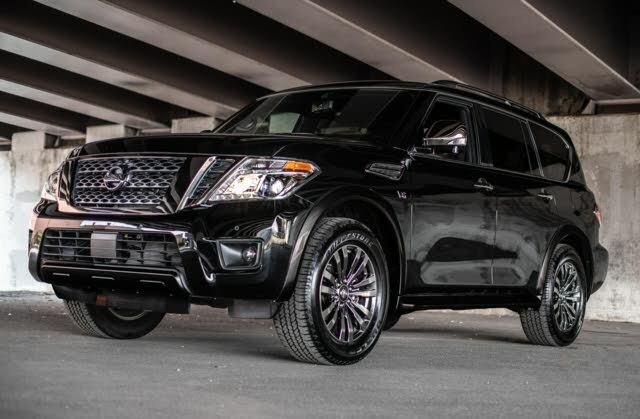 What's your take on the 2019 Nissan Armada? Have you driven a 2019 Nissan Armada? Enter your zip to see incentives for a new Armada in your area. CarGurus has 9,438 nationwide Armada listings starting at $1,950.